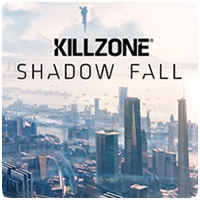 Sony UK boss, Fergal Gara, has revealed that Guerrilla Games’ Killzone: Shadow Fall on the PS4 is around 50GB in size, but it working on “big innovations” to make games like this easier to download. The PS4 makes use of “Play as you Download” functionality, meaning you can start playing the game without having to download the entire game first. The interview also reveals that Guerrilla Games are working on a new IP. “As a studio we do want to branch out, and we have started work on a new IP, something completely different to Killzone. I don’t want to say anything about it right now, but as a studio we do want to keep it fresh,” explained lead designer Eric Boltjes.